For the second consecutive game, the Bulldogs won by a 7-5 result. 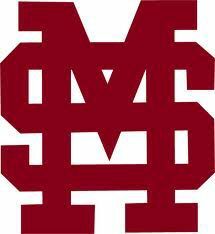 MSU also defeated Tennessee by that score in the final game of the three-game Southeastern Conference series in Knoxville over the weekend. The Bulldogs were able to hold off the pesky Jaguars at home to remain undefeated at home in midweek games (11-0). For more on MSU's win over South Alabama, see Thursday's Starkville Daily News.